Nearly every news outlet has an article on it, no matter their country or whether they're conservative or progressive. However, in times like these, it's relatively easy to fabricate a picture or a video, though I doubt you could fabricate evidence on this scale. Still, I thought it was worth asking, especially since all these journalists seemed to have taken this picture at exactly the same time. 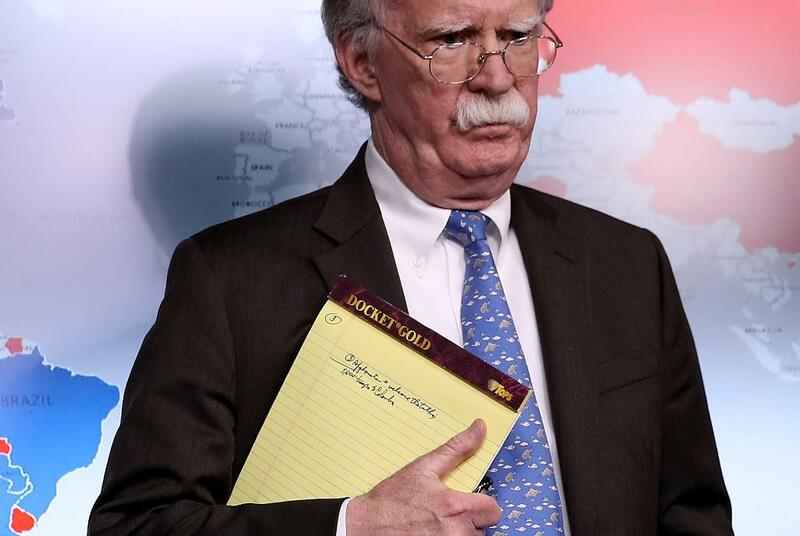 Did John Bolton hold a notepad with the text "5000 troops to Colombia" when he announced the sanctions? No doubt better versions are available, so I invite someone else to provide a better one. Not the answer you're looking for? 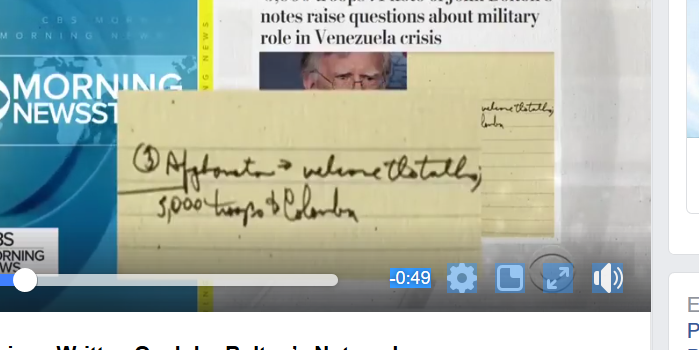 Browse other questions tagged united-states colombia . Did John Nash Jr. write equations on the windows of a Princeton library?